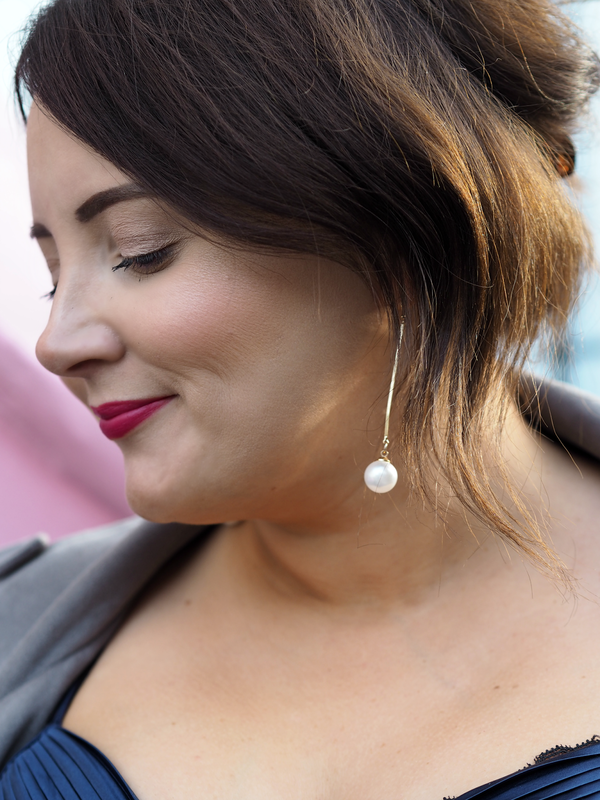 One of those brands that’s an absolute go-to for when you need an elegant party outfit (half my wedding party turned up in ChiChi!) this Christmas season ChiChi London are set to make a real statement and have the pleasure of dressing a fair number of us in beautiful frocks. 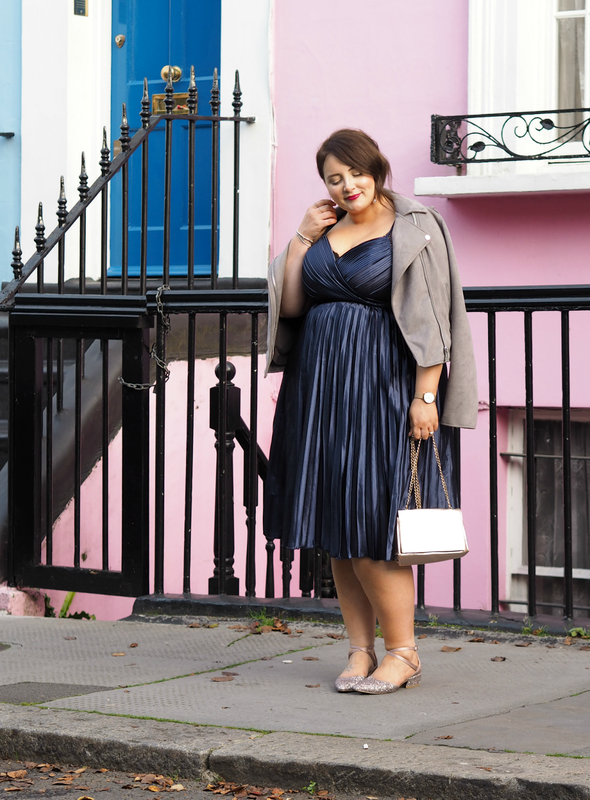 Although their sizing is a bit all over the place, you can’t fault their designs; every dress has been crafted to enhance our best bits, conceal our worst and make you feel like a princess. 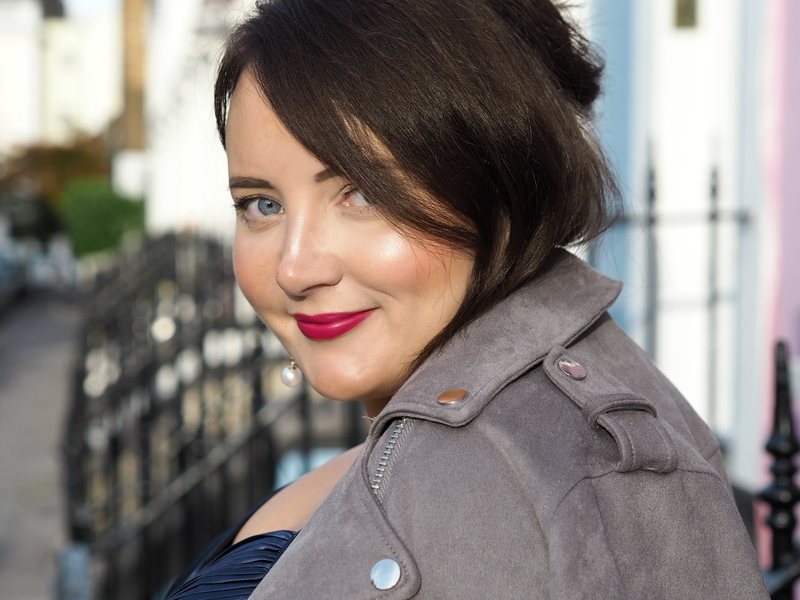 Unlike many of the ChiChi dresses already hanging in my wardrobe, the ‘Melanie’ is free from the elements you’d usually associate with them; no lace, no toulle and no foof. 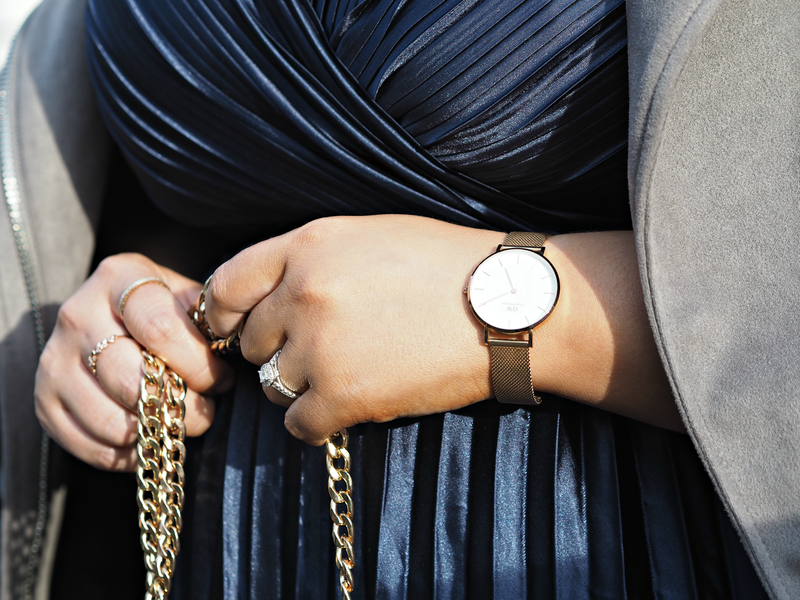 Instead the classic and elegant shape flatters my curvy shape and covers my ample bosom with ease, skimming over my hips to leave a silouette that gives me confidence. 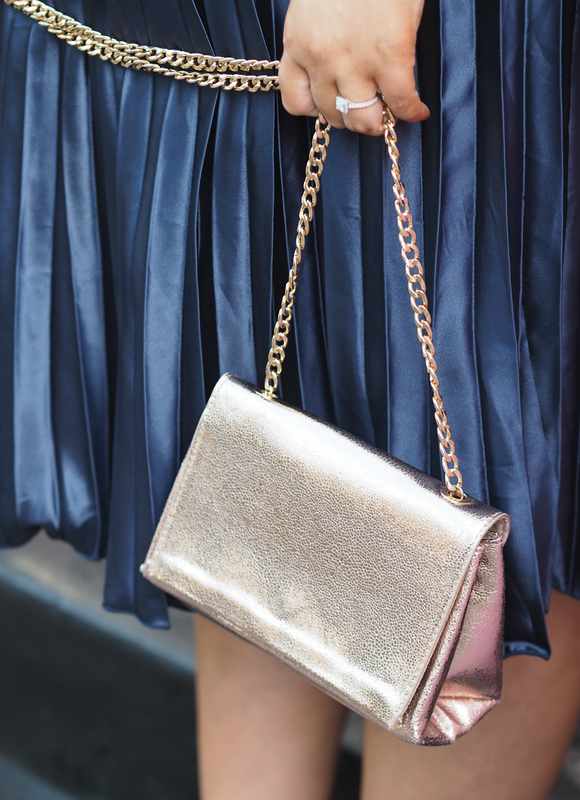 My love for anything pink toned and metallic has yet to wane, as you can tell by the accessories I’ve paired the dress with. I picked up these glittery shoes on a whim while in Marks & Spencer, mainly because they’re a great way to spice up an outfit without having to totter around in five inch heels (not a great idea after one too many mulled wines…) The ribbon cross-over fastening is a bit tight and hasn’t been designed for anyone with non-skinny ankles, but needs must; a little sacrifice in comfort pays off in style. They’re really comfy apart from that and just the right height to dance all night, plus they’d look great with a summer dress if you have any weddings in 2018 to plan for. 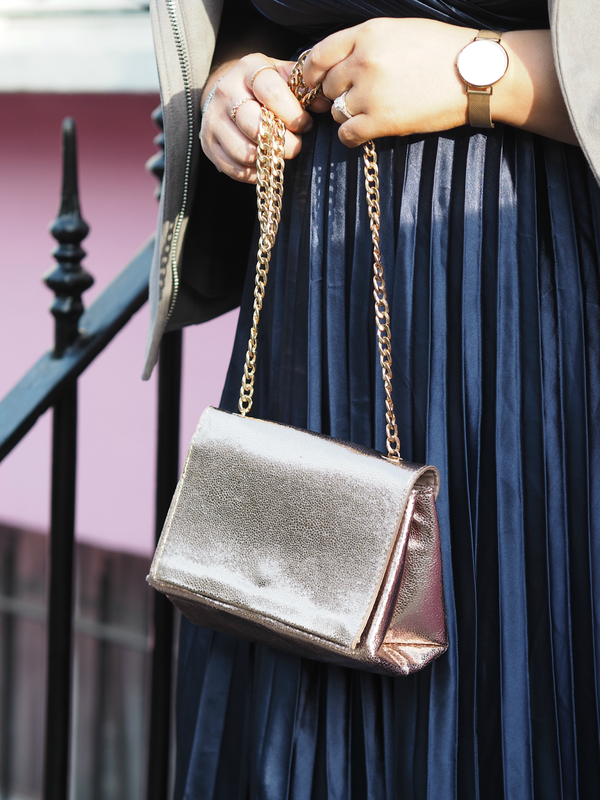 I’ve matched my glittery footwear to a super affordable metallic bag from Accessorize (£17.00) that’s more than big enough for all my essentials. 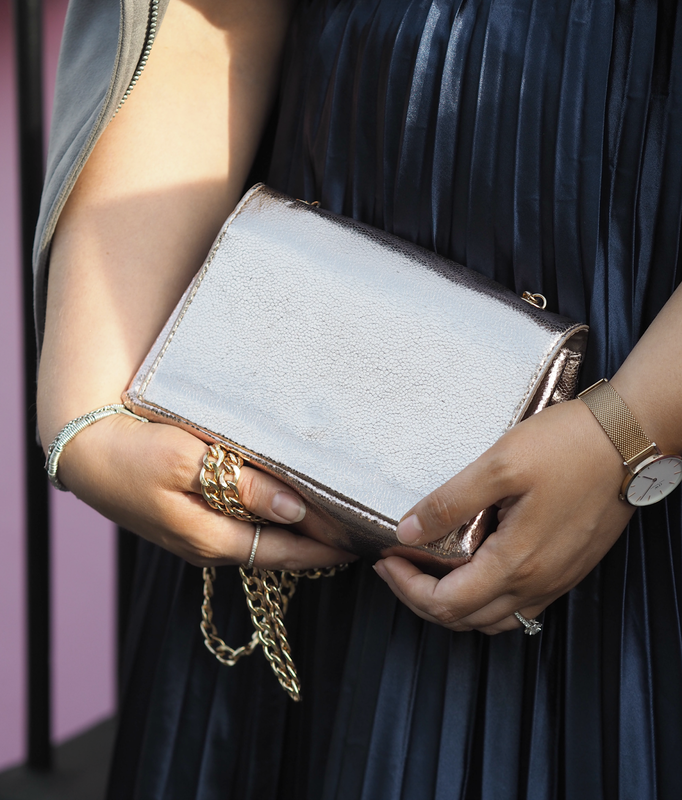 This was actually one of the bags I took with my to Bali and I used it almost every evening, because the shade just goes with everything; the strap is long-enough to pop across your body when you need your hands free to balance a drink and a mince pie too – always a bonus. 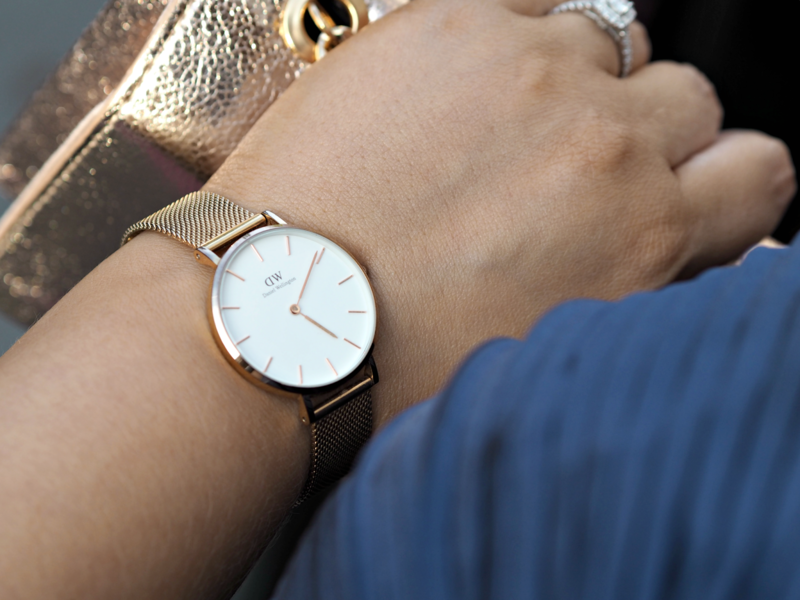 Throw in my rose gold mesh watch from Daniel Wellington and my current fave pearl drop earings (simplicity makes such a statement) and the finishing touches really make it. Ta-da! Now, who’s got the prosecco..? Thanks Anika! And they're so cute and sparkly aren't they!